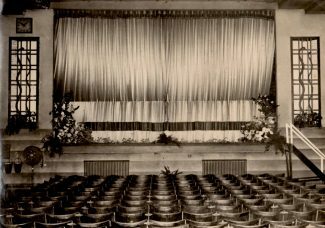 The Ritz Cinema was built by local contractor, W&C French in 1938, just after they completed the Carlton Cinema in Wickford. It had a small stage and seated about 650. Seating was in wide rows without a central isle. Shared ashtrays between alternate pairs of seats are reminiscent of the days before smoking was banned in public spaces. Shows were then punctuated by flashes of cigarette lighters, followed by smoke drifting up through the projected image. At various times it was jointly owned with the Radian, Laindon and the Carlton, Wickford. The first film shown was ‘Flying Down to Rio’. Greater dependence on public transport at the time resulted in film shows being timed to allow time to catch the last bus. 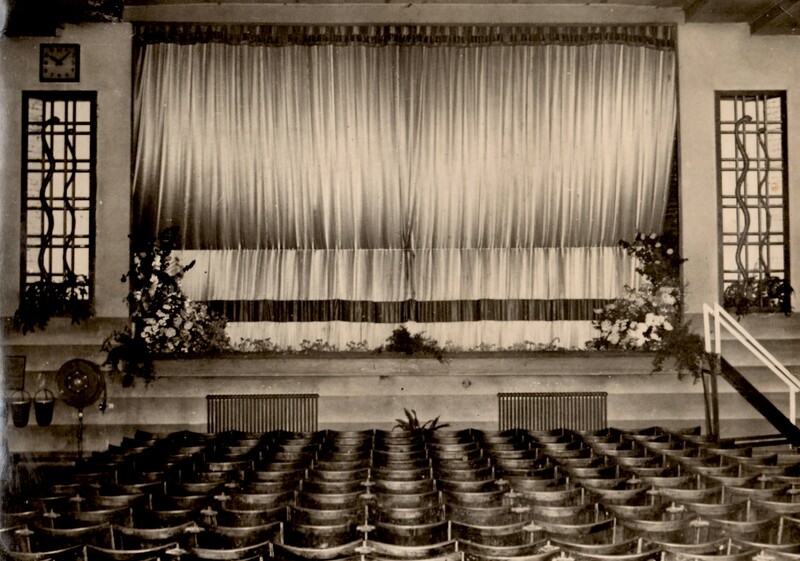 The interior photograph is of a typical 1930 Art Deco influenced cinema not specifically the Ritz. It was built on part of the site of a large 16th century house in Chapel Street that had been divided into four and was known as weavers’ cottages. The rents from these cottages were used to benefit of poor weavers in Billericay. They were demolished in about 1900 and the site divided into allotments. The site was sold in two lots in 1921 to Billericay Baker, W Cottis, and the Association of Strict Baptist Churches. The Baptists sold their land after the war. It frequently played to full houses during the war when queues formed along Chapel Street. During air raids it remained open, a slide would be projected advising patrons they could leave if they wished. In 1962 the licence was extended to include wrestling. Plans were in place to demolish it in 1993, but it was delayed due to the then economic situation. The sloping floor was then levelled in order to convert it for the Radian Snooker Club. The cine-projectors were saved as a feature in the bar. 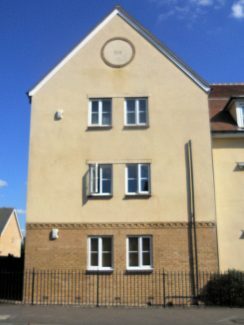 Although a religious building has never occupied the site of the cinema the block of flats that replaced it is named ‘Vicarage Court’. 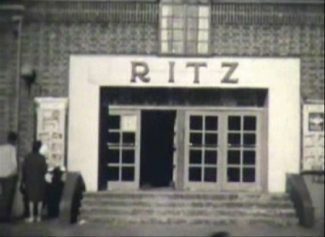 Perhaps perpetuating the cinema’s name of ‘Ritz’ was considered inappropriate. Being built at the turn of the turn of the twentieth century these flats have a ‘MM’ plaque near the apex of the cross wing.